Archive by category "Lake McConaughy"
Swimmer conquered Lake McConaughy in 1968. Why? I came across an article in a recent issue of the Keith County News about a young man who swam the length of Lake McConaughy in 1968. I’d never heard of such an accomplishment, but the article (by KCN staff writer Kenneth Lipp) indicated that it was the first time anyone had ever accomplished such a feat. No wonder. The swimmer, Scott Skultety of Omaha, had to travel 21 miles from the west end of the reservoir to Kingsley Dam. It took the 17-year-old 11-½ hours to cover that distance. Now, for someone who admittedly swims like a rock, I was duly impressed by such an accomplishment. My first musings were: 1) Has anyone completed such a swim since 1968? And, 2) Why would someone attempt such a challenge? As to the first question, an internet search of long-distance swims at Lake McConaughy turned up nothing other than a reference to a planned swim by a marathon swimmer in 2017, but I could find nothing to confirm that such a swim ever took place. In March 1923, a British mountain climber by the name of George Mallory was trying to raise money for an expedition to climb to the summit of Mount Everest. At the time, no one had ever conquered the highest mountain on earth. Mallory had failed on to previous attempts to reach the summit twice, but was undeterred. From that seemingly frivolous remark, Mallory expanded in a manner that perhaps best explains the reasons for “why?” And perhaps it explains why a lot of other such attempts are made to reach seemingly impossible goals. Mallory and his climbing partner sought to quench that desire in 1924, but it cost the pair their lives. Witnesses saw them make it to within a thousand feet of the summit, but then lost sight of them. They were never seen again. Successfully reaching the summit of Mount Everest had to wait until 1953 when Edmund Hillary and his Sherpa companion Tenzing Norgay reached the top. I don’t know if young Mr. Skultety was inspired by such notions; the article didn’t address the “why” question. But again, it was quite a feat. 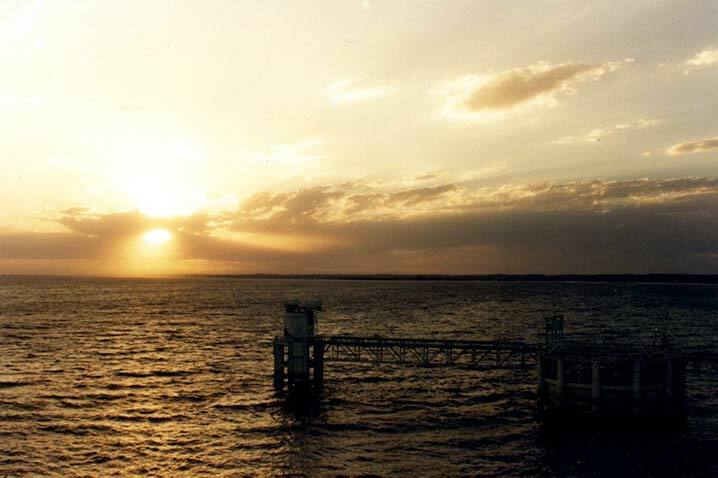 Lake McConaughy is known for becoming suddenly unfriendly to boaters and swimmers alike if a sudden storm should blow up. When the wind blows, the waves can become an issue. Perhaps the weather forecast and the water conditions were perfect for such an adventure and he certainly didn’t have to contend with sharks, jellyfish or other such dangers (other than perhaps a careless boater running over him in mid-swim). Skultety went on to swim competitively for Kansas University and, in fact, was the 1971 Big Eight Conference swimmer of the year, but he noted in the KCN article that none of his other accomplishments has been so enduring. Even if someone else has swam the length of Lake McConaughy since that August day in 1968, he’ll always be the first to accomplish such an exploit. Students from the University of Nebraska-Kearney had the opportunity to expand their knowledge of Nebraska’s natural resources during a tour of The Central Nebraska Public Power and Irrigation District’s hydropower-irrigation project on May 29 and June 1. 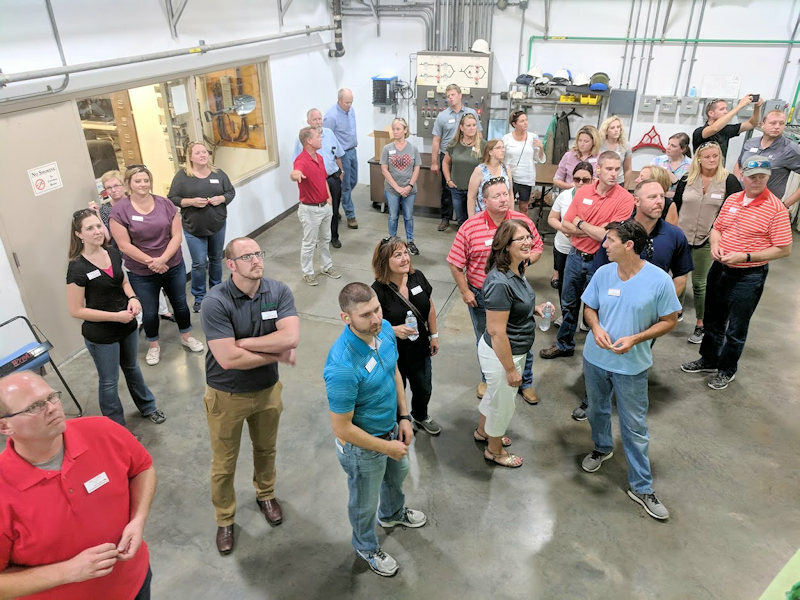 It was the 15th annual UNK tour, a milestone that demonstrates a commitment by several individuals who have been of UNK’s Summer Student Research Program (SSRP) over the years, perhaps none moreso than John Falconer, director of the Office of Sponsored Programs. 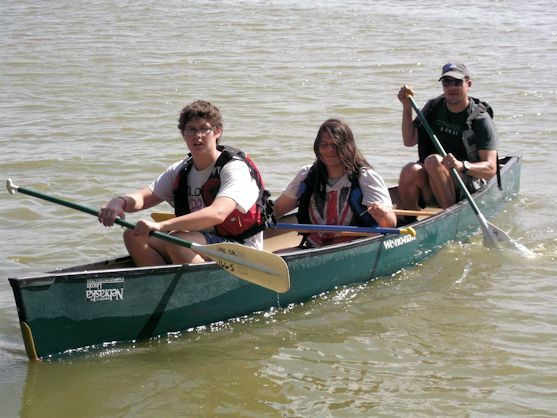 Falconer has organized UNK’s participation in the tour of Central’s project each year since the tour’s inception, including making the trek to Lincoln to transport canoes for a trip down Central’s Supply Canal (more about that later). 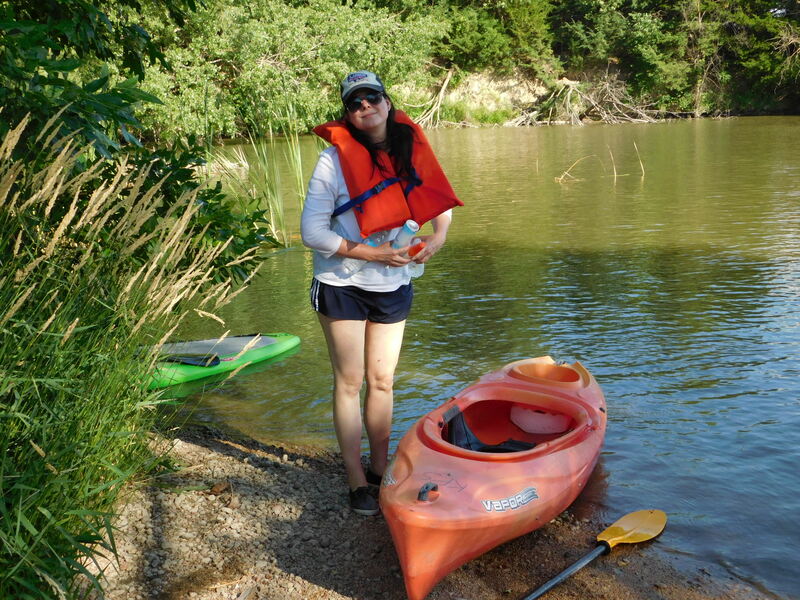 The SSRP supports independent student research and scholarly activity each summer. It is open to students from all disciplines, and is structured to enrich the educational experience in several ways. First, SSRP enables students to engage in original research and creative activity under the guidance of a faculty mentor. This opportunity to work closely with an expert gives the student a chance to expand their knowledge of a chosen academic discipline. Also, because the research is independent of a structured classroom setting, students experience the excitement and challenges of applying their knowledge and skills to solve problems. Finally, students draw on their general studies coursework and learn about research in other disciplines, broadening their understanding of the differences and connections between various fields of study. 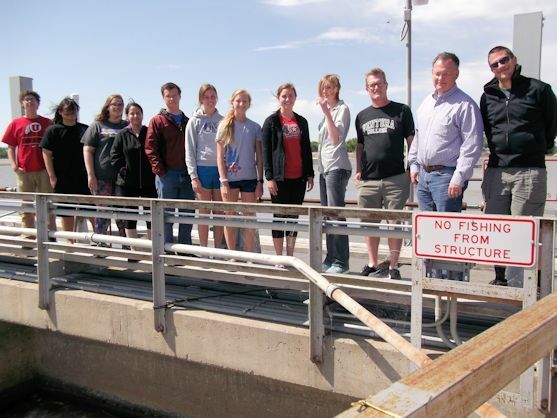 Students and faculty mentors pose for a photograph atop the headgates of the Supply Canal near North Platte. 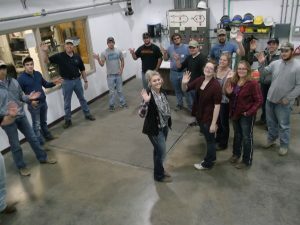 The tour of Central’s project provided students – most of whom had no background in agriculture or natural resources – a first-hand look at how water resources provide multiple benefits to Nebraska. The tour stopped at several sites and facilities within the District to see examples of these benefits. The students first visited a site where irrigation water is applied to fields through a sub-surface drip system. The water is diverted from a small irrigation lateral through a filter system and then through buried drip lines to the crop’s root system. SDI irrigation is extremely efficient in that it reduces evaporation and deep percolation losses that may be present with other irrigation methods. 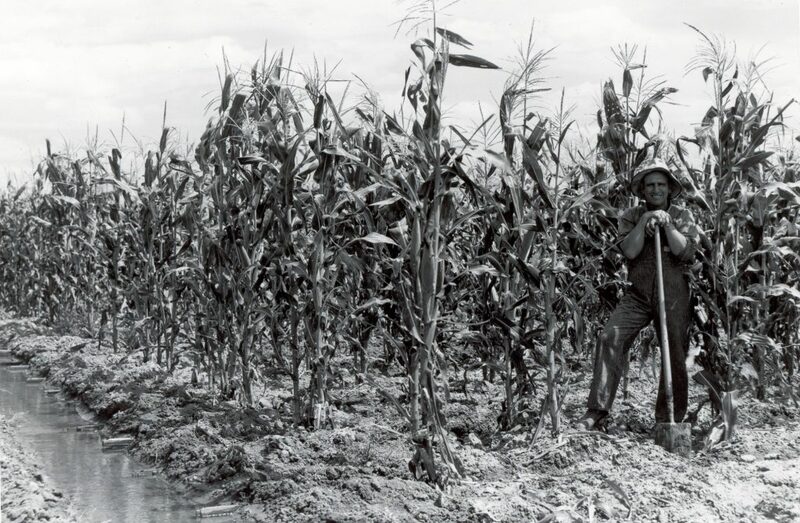 Nitrogen fertilizer can also be applied through the system, literally spoon-feeding nutrients to the growing crop during the irrigation process. Producers employing SDI systems regularly see equal or better yields from SDI acres as compared to pivot-irrigated fields with generally less application of water. Four to a wrench: Young ladies from the UNK Summer Student Research Program hoist one of the wrenches on hand for maintenance at the Kingsley Hydroplant. 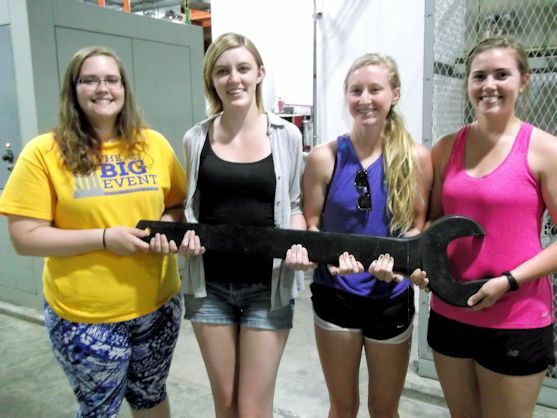 And it’s not even the biggest wrench! The group also examined (briefly, because of a passing rain shower!) an example of “outside-the-box” thinking during a stop at a “drop-span” pivot system. 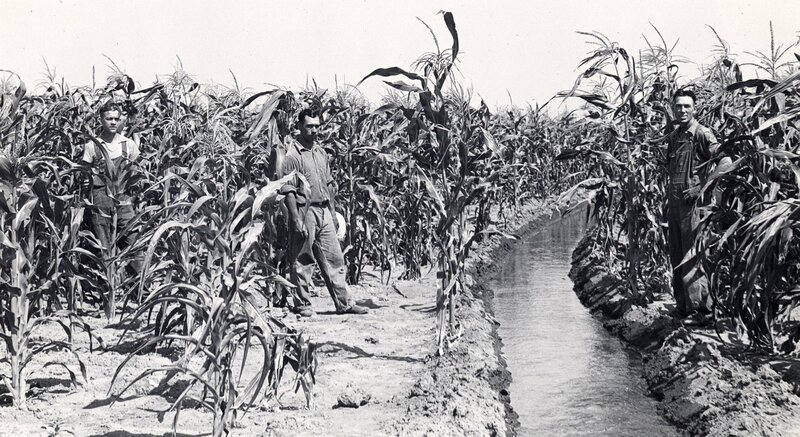 The pivot, which can use either water from Central’s canal system, or from an irrigation well, is located on a half-section that includes obstacles that prevent the pivot from reaching a portion of the field. The solution, implemented by the producer and a local pivot dealer, was to install a pivot that allowed the producer to disconnect spans and towers to allow the pivot to reach more than 30 acres that were previously unable to be covered by the pivot. The pivot then reverses, stops at the location where the spans were dropped off, picks up the disconnected spans (with minimal labor by the producer), and continues over the rest of the field. The group also stopped at a site that is part of the E67 Telemetry Project. 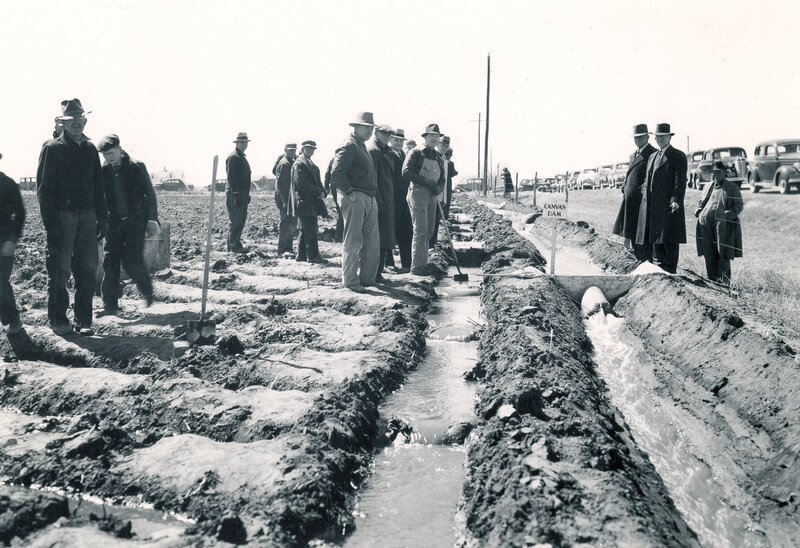 The E67 Canal system includes three miles of membrane-lined canal; the rest of the delivery system was converted from open laterals to buried pipelines several years ago. 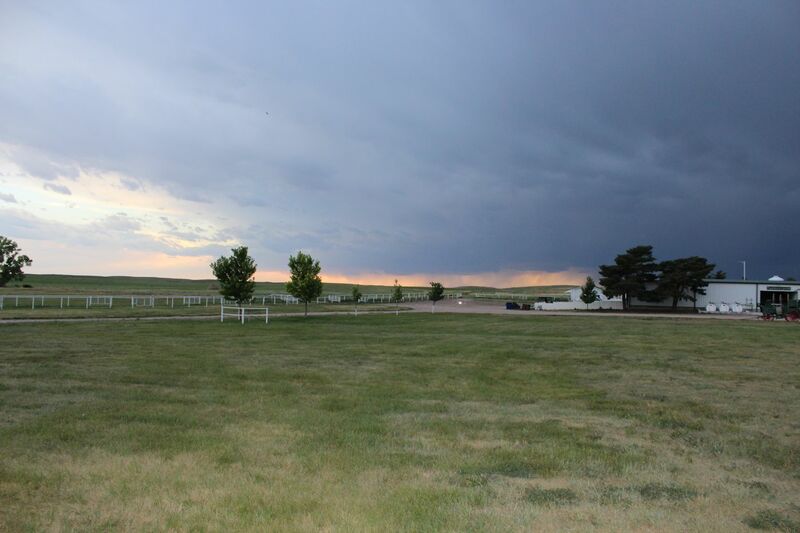 Each turnout in the E67 area (approximately 6,000 acres) is equipped with UHF radio transmitters, digital flowmeters and rain gauges powered by and solar panels. Two automated weather stations measure wind speed and direction, temperature, relative humidity, net solar radiation, and precipitation to calculate evapotranspiration rates of the crops. The data is transmitted to a base station at the nearby Johnson No. 1 Hydroplant and then via the internet to a McCrometer server where sorting and calculations are done. Field data and graphs can be picked up online by a producer’s PC, tablet or smartphone that has internet access. The data allows precision irrigation management of these fields which saves water. Producers can start each morning with an up-to date view of graphs that show their field water balances. The information allows the producer to know where and when they need to start irrigating. 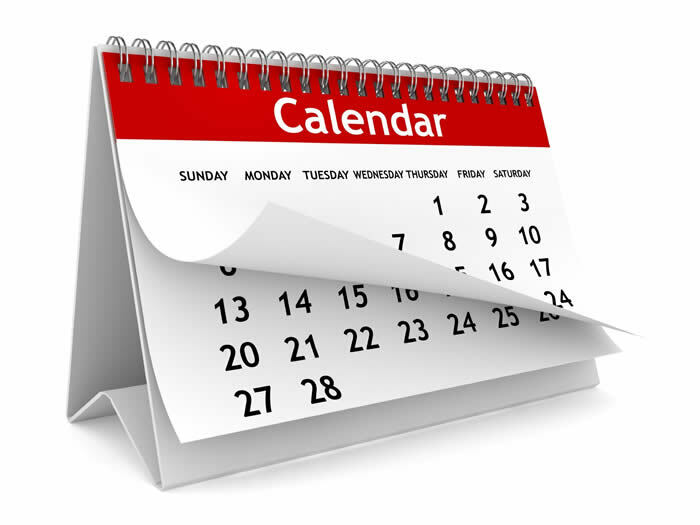 Additionally, in a rain event, they will know total rainfall for the day, accumulated every 15 minutes on each field (or a nearby one) and know which irrigation systems can be shut down immediately or if they should keep running through a small rain event. There should never be water stress on a field again. Additional components are available and producers have the option to add such equipment as pressure gauges, soil moisture probes, pivot lateral position, etc. 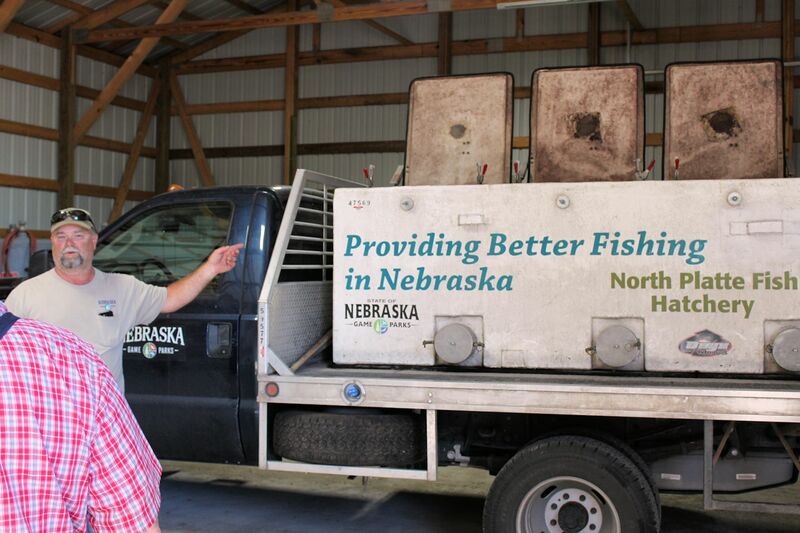 The E67 Telemetry Project came about as a cooperative venture by Central, McCrometer, UNL Extension and the Nebraska Environmental Trust Fund. 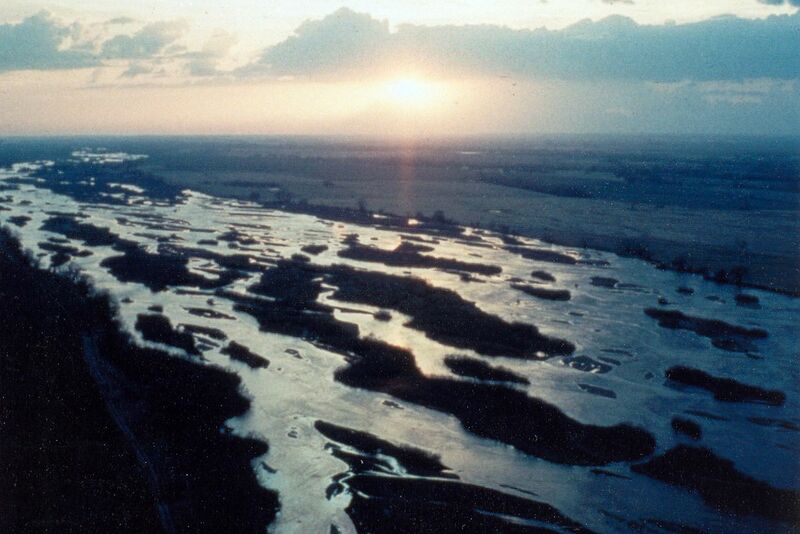 From there, the group journeyed to the Jeffrey Island wildlife habitat area, a 4,000-acre area owned and managed by Central for the benefit of wildlife. 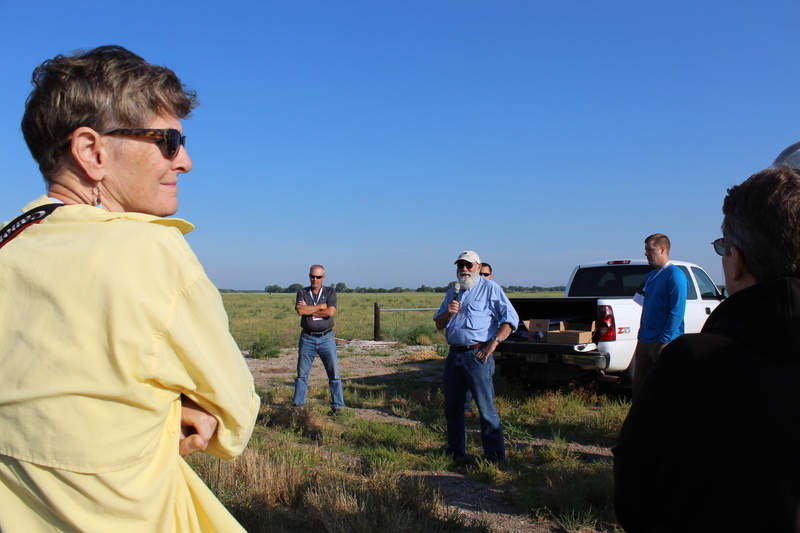 Dave Zorn, Central’s senior biologist, explained the management process and how Central has worked over the years to convert pastureland beset by musk thistle and other noxious weeds into suitable habitat for various species of birds, reptiles, amphibians and mammals. The next stop was at the Gothenburg Control Center, where Gothenburg Division Manager Devin Brundage explained how the vast system is remotely and automatically operated from the Control Center, moving water almost 200 miles through a series of canals, lakes, pump stations, pipelines and hydroplants from Lake McConaughy to east of Minden. 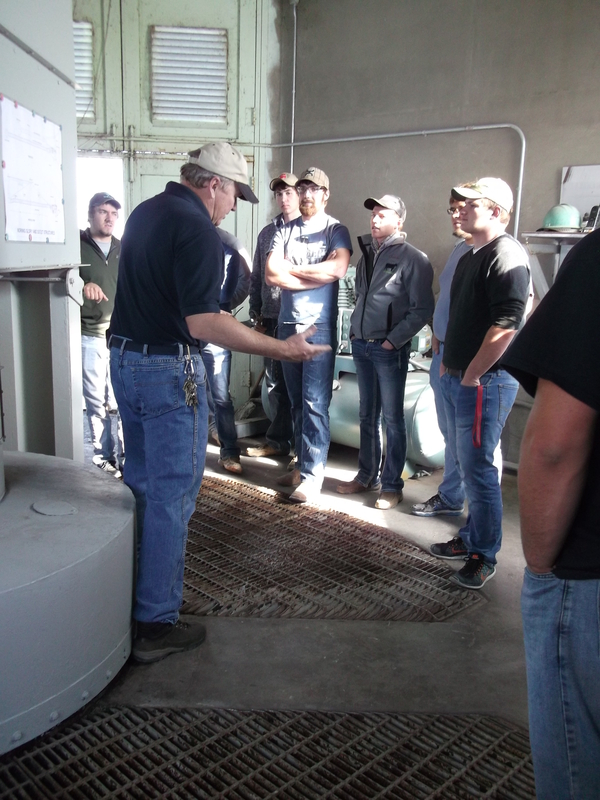 The students then stopped at the Jeffrey Hydroplant near Brady to learn about the clean, renewable generation of electricity at one of the four hydroplants on Central’s system. After a delicious catered dinner at Jeffrey Lodge, the students spent the night at the lodge to rest up for a second full day of exploration, education, and physical exertion. Early the next morning, the group departed for Lake McConaughy where Kingsley Dam Foreman Nate Nielsen guided them through the Nebraska Game and Parks Commission’s Water Interpretive Center, the outlet structures for Lake McConaughy and the Kingsley Hydroplant. 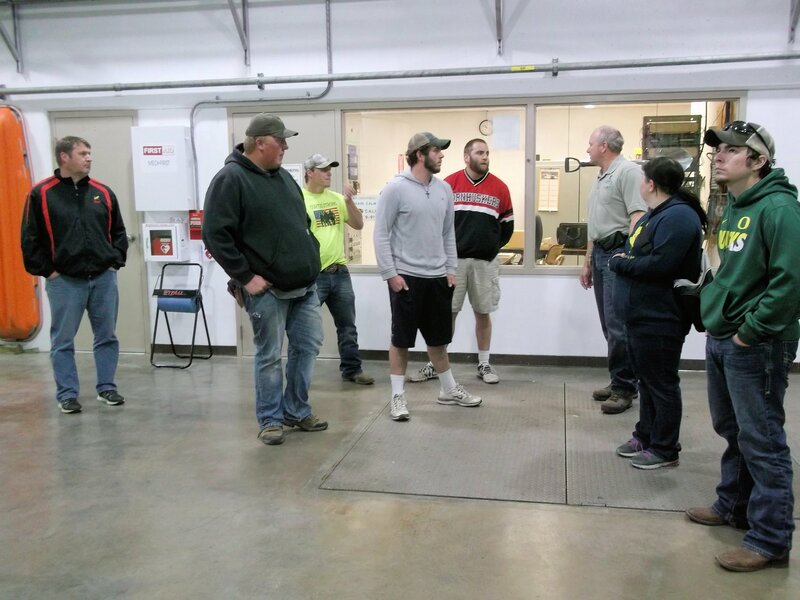 Nate Nielsen (top right, gray shirt), Central’s Kingsley Dam foreman, explains the workings of the Kingsley Hydroplant to UNK students and members of a second tour group from Dawson County. 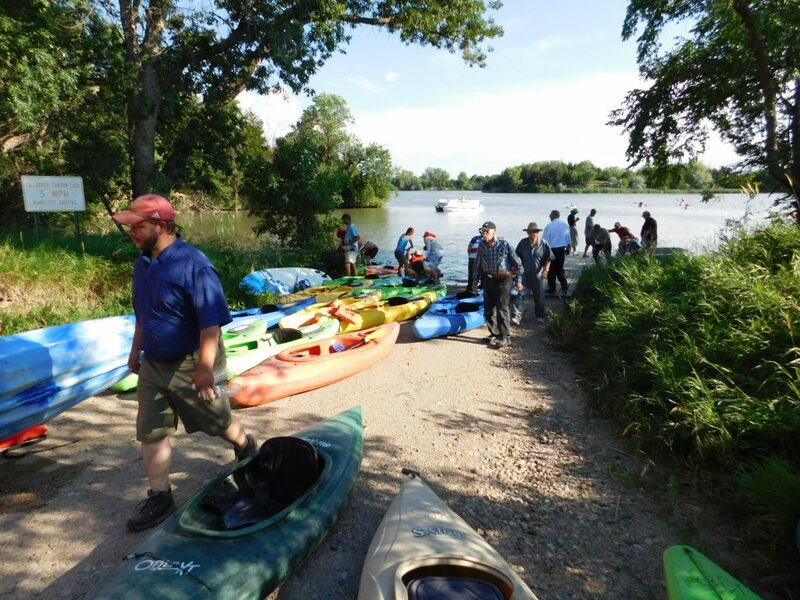 After lunch, the group set out for their final stop, a point just below Midway Lake, to conclude the tour with a 5.5-mile canoe trip down the Supply Canal to the Gallagher Canyon Lake State Recreation Area. 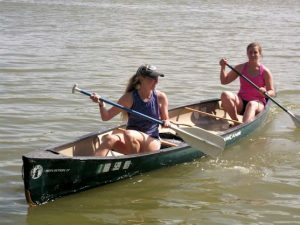 For many, it was their first opportunity to paddle a canoe and, despite some inexperience and subsequent sore muscles, the trip was completed in less than two hours. We made it! Two UNK students reach the boat ramp at Gallagher Canyon State Recreation Area after a 5.5-mile canoe trip down the Supply Canal. To recap, the students saw examples of efficient crop irrigation, wildlife habitat, renewable energy generation, recreation and groundwater recharge. Student participants on the tour were Molly Dibben, Stephanie Paulsen, Audrey Codina, Luke Hamilton, Sidney Trenhaile, Nathan Ott, Gamaliel Alcaraz, Sarah Strawn and Kendall Schumacher. 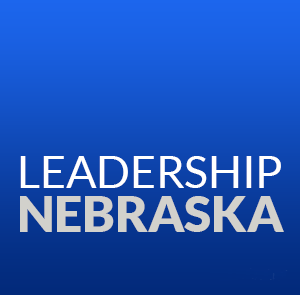 Faculty mentors included Dr. Peter Longo, political science professor and interim dean of the College of Natural and Social Sciences; Dr. Mark Ellis, professor and chairman of UNK’s history department; and Dr. David Vaile, assistant professor of history. 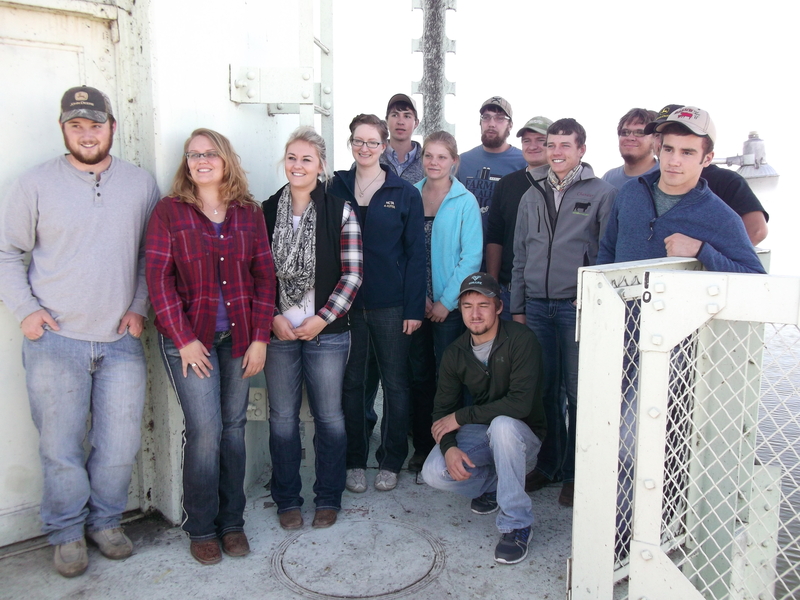 Another group of students from the Nebraska College of Technical Agriculture in Curtis recently visited Kingsley Dam and Lake McConaughy. Brad Ramsdale, PhD, professor of agronomy at NCTA, accompanied the students as he has several times in the past. The group first listened to a presentation by Nate Nielsen, Central’s Kingsley Dam foreman, about Central’s hydro-irrigation project before the group visited the Nebraska Game and Parks Commission’s Water Interpretive Center where they learned about the various uses and importance of water. 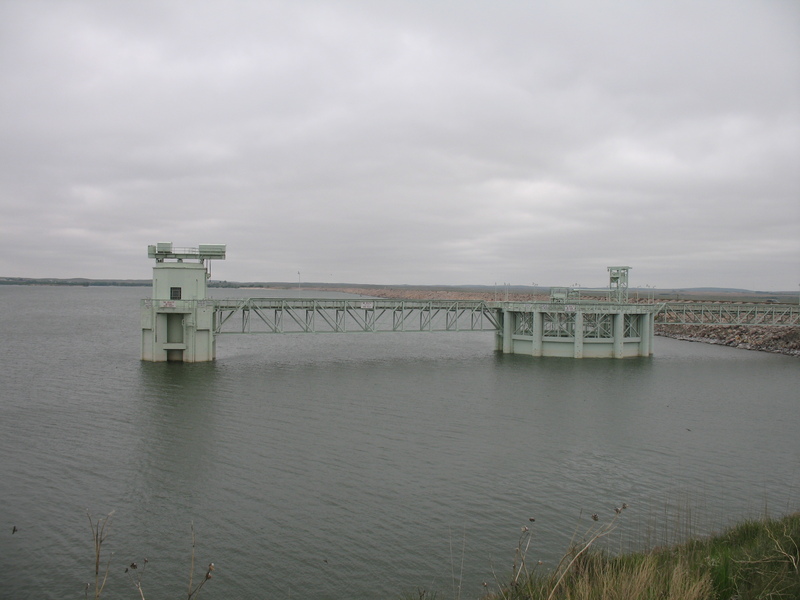 After viewing a video that detailed the construction of Kingsley Dam and a five-minute audio presentation about water resources in the Platte River Basin, the group headed out to get a first-hand look at the “Morning Glory” spillway and the Control Tower, the outlet structures for Kingsley Dam. The group also toured the Kingsley Hydroplant where Nielsen described in detail the operation of the state’s largest hydroelectric plant. Kingsley Dam Foreman Nate Nielsen explains the operation of the Kingsley Hydroplant to NCTA students. 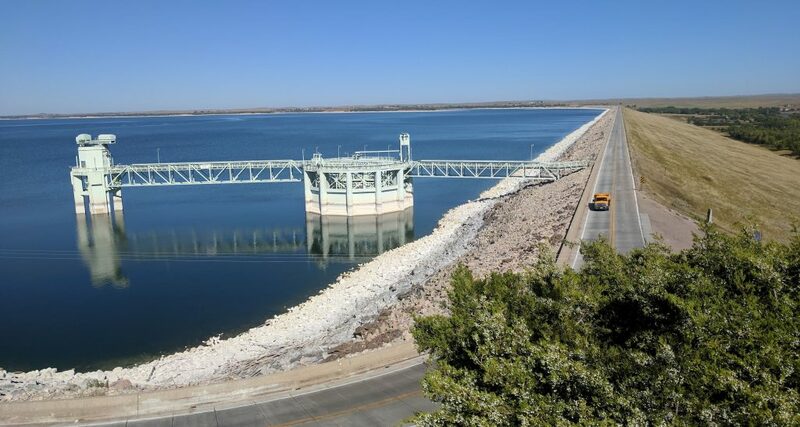 After leaving Lake McConaughy, the students stopped at Paxton to observe the “Big Cut” through the hills north of the town and NPPD’s siphon that conveys water from the North Platte River into the South Platte basin. The group then enjoyed lunch at Ole’s Big Game Bar and Restaurant. The day concluded with a stop at Central’s Gothenburg Control Center where Gothenburg Division Manager Devin Brundage briefed the group on the operation of Central’s supervisory control and data acquisition system (SCADA) that controls and monitors flows in the Supply Canal and irrigation canals, generation at four hydroplants, and many other aspects of Central’s hydro-irrigation project. Central thanks the group for visiting and looks forward to future visits by Dr. Ramsdale’s students. 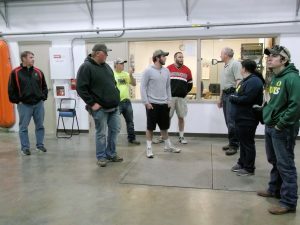 Students from the Nebraska College of Technical Agriculture in Curtis visited Kingsley Dam and Lake McConaughy on Nov. 15 for what is becoming something of a tradition. 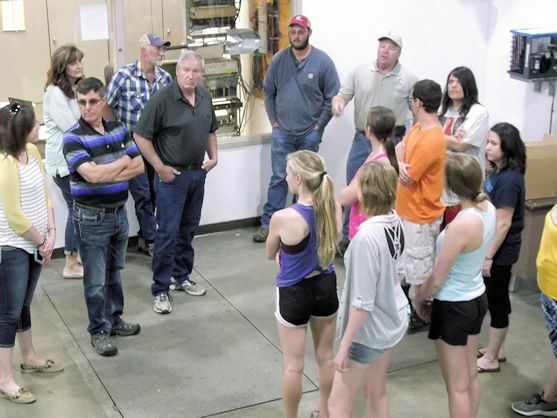 The tour was facilitated by Dayna Wasserburger, Southwest Regional membership director for the Nebraska Farm Bureau. Brad Ramsdale, PhD, professor of agronomy at NCTA, accompanied the students as he has several times in the past. 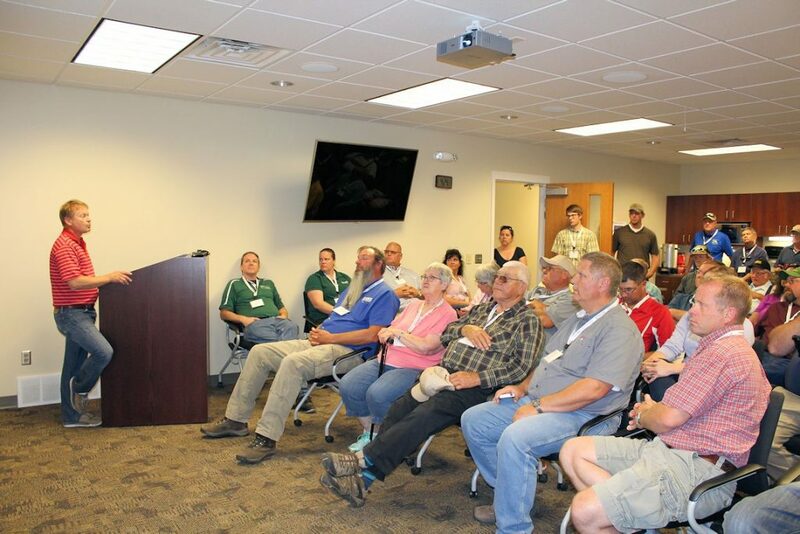 The group first listened to a presentation by Nate Nielsen, Central’s Kingsley Dam foreman, about Central’s hydro-irrigation project before the group visited the Nebraska Game and Parks Commission’s Water Interpretive Center. In the center, the students participated in a number of interactive activities that demonstrated the various uses and importance of water. Students from the Nebraska College of Technical Agriculture (NCTA) in Curtis wave to the camera during a tour of the Kingsley Hydroplant. Kingsley Dam Foreman Nate Nielsen explains the operation and function of the Outlet Tower at Kingsley Dam to NCTA students. 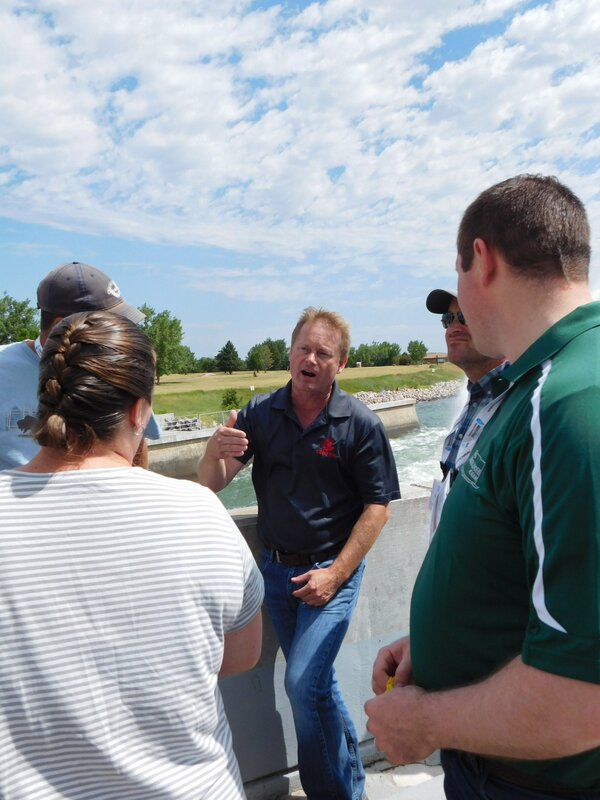 After a five-minute audio presentation about water resources in the Platte River Basin, the group headed out to get a first-hand look at the “Morning Glory” spillway and the Control Tower, the outlet structures for Kingsley Dam. 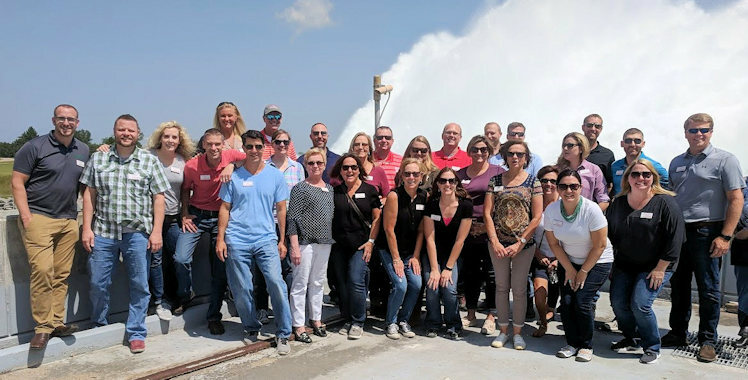 The tour concluded with a visit inside the Kingsley Hydroplant where Nielsen described in detail the operation of the state’s largest hydroelectric plant. 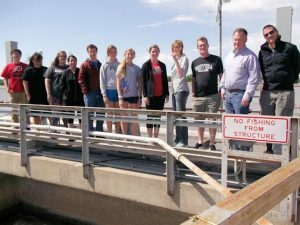 Earlier in the day, Ramsdale had taken the students to Central’s diversion dam near North Platte and driven past NPPD’s Lake Maloney and the North Platte Hydroplant. For several of the students, it was their first visit to Lake McConaughy, and despite the calendar, the weather for a mid-November day couldn’t have been more pleasant. Temperatures climbed into the 70s and only a gentle breeze barely causing ripples on the surface of the reservoir.